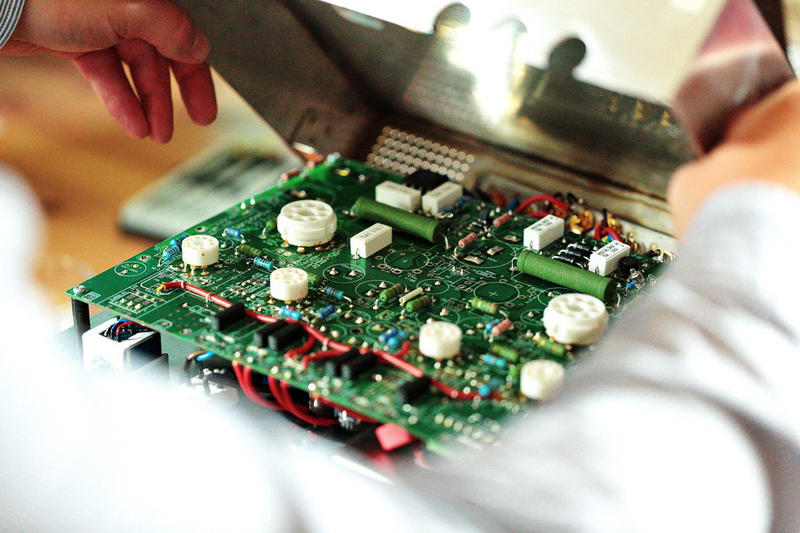 ew audio brands emerging on the market have become an everyday experience. Each year I come across new brands, names and designs, the same with new ideas for a product. Less often, one can say scarcely, I come across new business ideas. The transition from a “device” (speakers, accessories, cables etc.) to a product is a long, painful and pricey process. Few can achieve success. Great many manufacturers stop at “civilized” DIY, i.e. 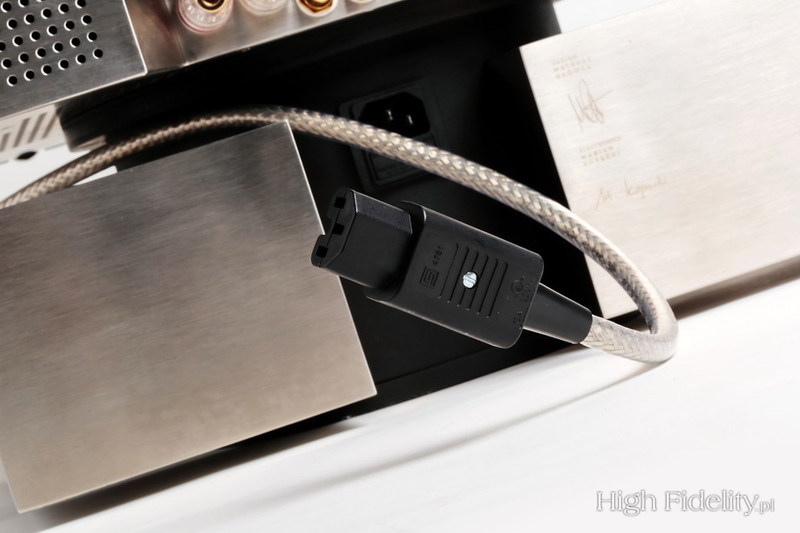 an audio component manufactured in a few pieces a year without proper technical documentation, not to mention any safety certificates. The most important factor here is money. The traditional approach is a bank loan or a UE grant, for instance. It is a hard and tough way, and it is easier for a camel to go through the eye of a needle, if I may say so, than to get the money from either of the two sources. A more common practice is for the designer to find a sponsor who finances the project. 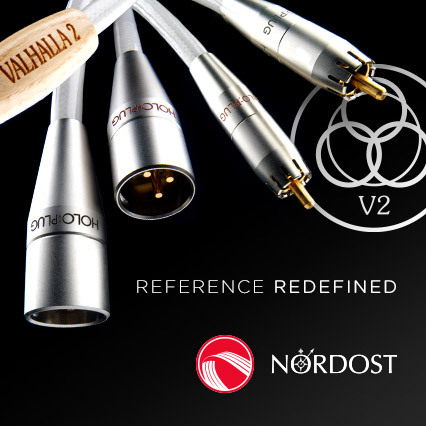 This is exactly how Abyssound came to existence; its owner runs a company that makes measurement systems for various industries. G•Lab has a similar modus operandi (the original name of the company is G•Lab but from now on I am going to use a simplified version, ‘G Lab’). 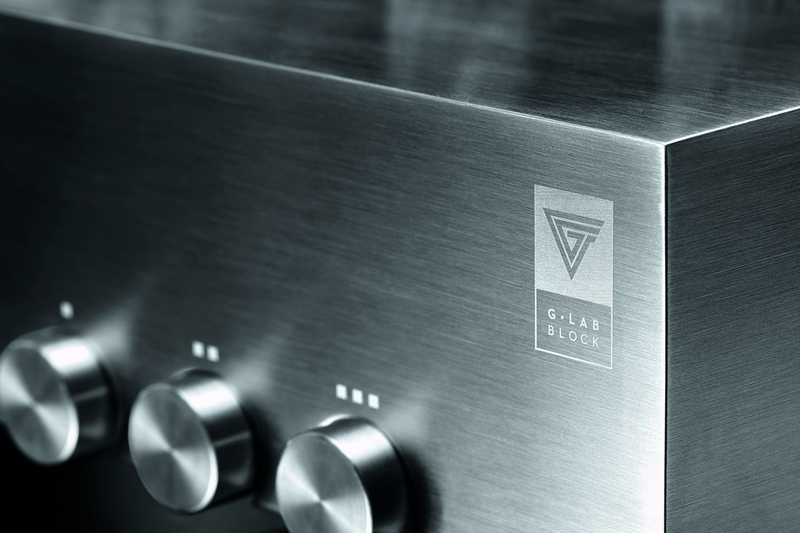 G LAB Design Fidelity is a brand owned by CCI (Comp Innovation Center). 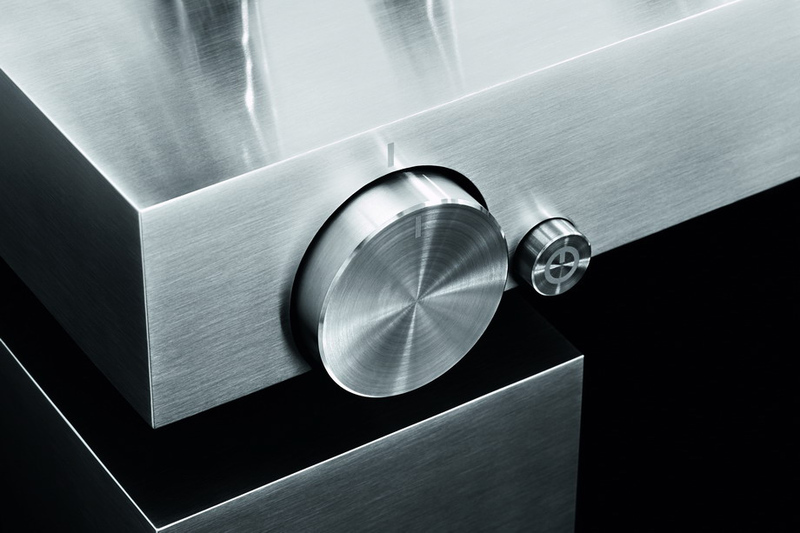 The amplifier itself is manufactured by ELZAB. 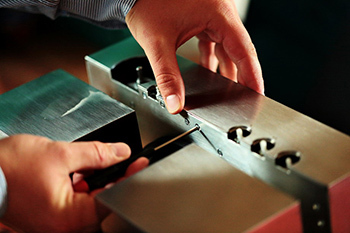 ELZAB was founded in 1969 and now it manufactures cash registers, among others. Both companies belong to the COMP S.A. capital group. The person responsible for venturing into the audio territory is Mr. Julian Kozankiewicz, the executive director of CCI. Here starts the most interesting part of the whole story because things like this do not generally happen in audio industry. Mr. Kozankiewicz noticed Mr. Główka who was a student of Fine Art Academy in Cracow and already had a finished, well thought through design that was to Mr. Kozankiewicz’s liking. Beside the sheer luck, which is always helpful, there must have sparkled something else. Proof? It is enough to have a look at the Block amplifier and see the result of this trilateral cooperation: the machine has a very distinctive look; its simple functional design brings new quality to an audio idiom. At the same time it has pro-audio written all over it as if it was made by a purist designer if he was capable of such a feat. 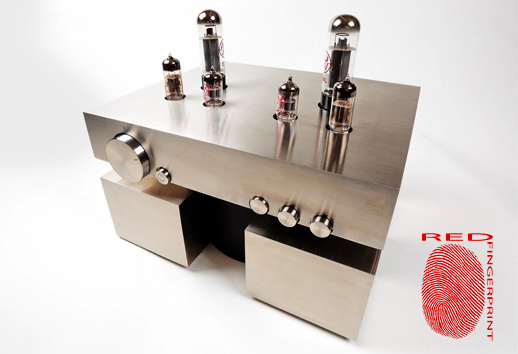 The Block (trademark BLOCK) is an integrated tube amplifier with a solid state power supply. It is divided into several segments, each containing a section that should be separated from others by the longest distance possible. It is notoriously difficult to achieve it in an integrated affair but, apparently, not impossible. The most harm is done by the transformers, including both the power supply and output transformers. 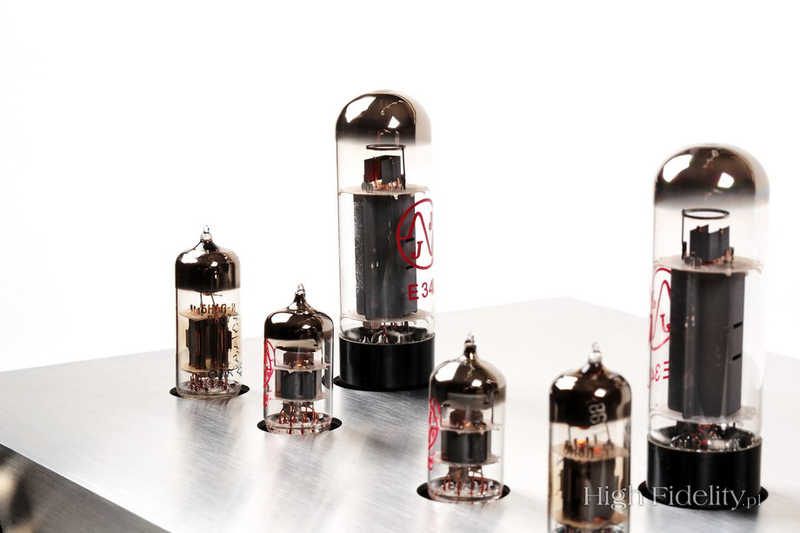 Here, the former is housed in a steel cylinder that constitutes the core of the amplifier. The output transformers and a choke used in plate power supply are placed in three of the four cuboids located symmetrically around the center cylinder. A side effect is that the center of gravity, which is often neglected in such design, is very low. 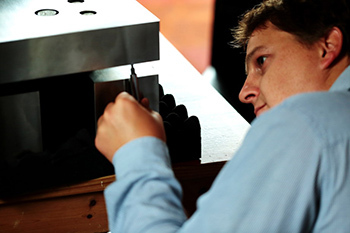 Electronics is moved to a separate chassis that is mounted to the top of the cylinder. Thus we have a great design and a well thought through electrical and a mechanical construction. 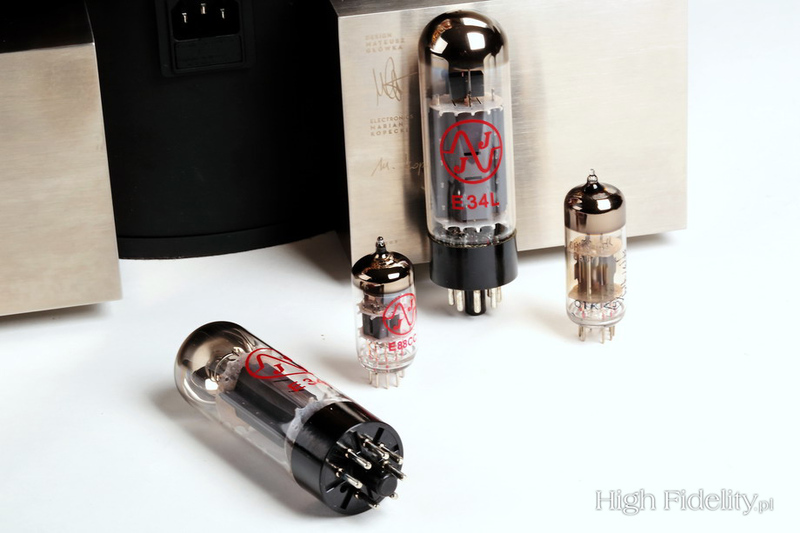 The amplifier’s power output is a modest 5,5 Watts from a single EL34 tube per channel. This power pentode operates here in a triode mode, hence we should make sure to use speakers of more than average sensitivity. 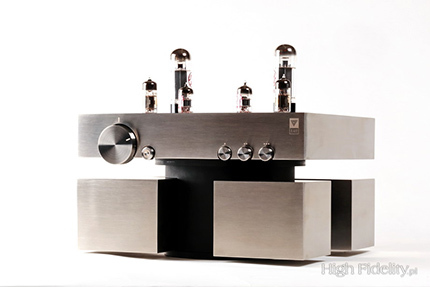 The Block is equipped with a MM tube phono preamplifier. The latter employs ECC88 triodes, one per channel. To show me all that and to tell me about the project and about himself, Mr. Mateusz Główka came all the way from Bielsko-Biała, where he lives. Wojciech Pacuła: Who is the manufacturer and the owner of the brand? Dionizy Konieczny: The owner of G LAB Design Fidelity is Comp Centrum Innowacji Sp. z o.o (Comp Innovation Center Ltd.) and the manufacturer of BLOCK is ELZAB S.A. Both companies belong to COMP S.A. group. Whose idea was to make such an amplifier? Who assembled the design team? Julian Kozankiewicz came up with the idea of making the amplifier – he is an executive director of Comp Innovation Center Ltd. – after reading a note about Mateusz Główka in Wired magazine. He got Dionizy Konieczny (Sales Manager of G LAB Design Fidelity now) interested in this venture, who at first stages of the project gathered all the interested parties and convinced them that this project made sense and could be a source of pride for all. Those two gentlemen are responsible for this great project of Mateusz Główka to come true. 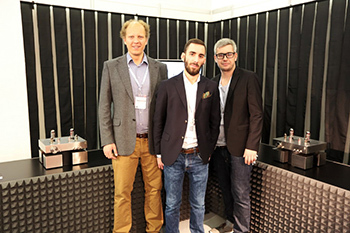 Now G LAB Design Fidelity is a three men team. The output tubes work in a pentode or triode mode? 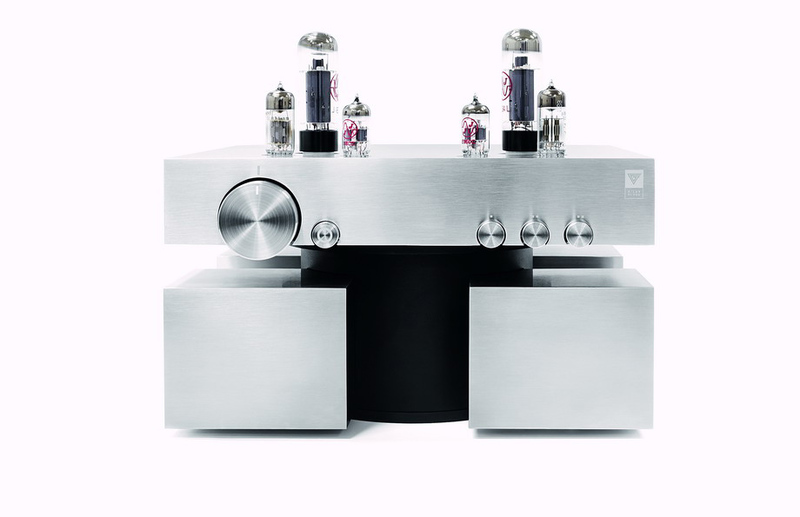 Which tubes drive the output ones? 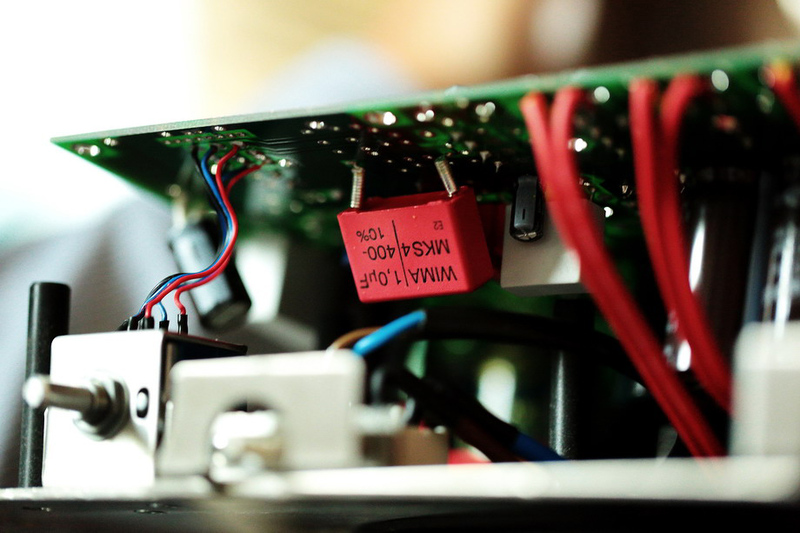 The phono amplifier is a solid state design? Are there any plans to extend the series? If yes then what are they? We are currently working on a new project. The team is the same – we count on cooperation with Mateusz Główka and we have a prototype of product that is complementary to the BLOCK. We hope to launch it in May 2015 in Munich. The BLOCK is a dream-come-true for me. The dream of my own project sold from “the shelf”. One of my passions, apart from cars, is music and its impeccable quality. On my third year of studying Industrial Design at the Academy of Fine Arts in Krakow I joined the Development of a New Product Workshop. Then I met Mr. Marian Kopecki who worked with students sharing his knowledge and experience. 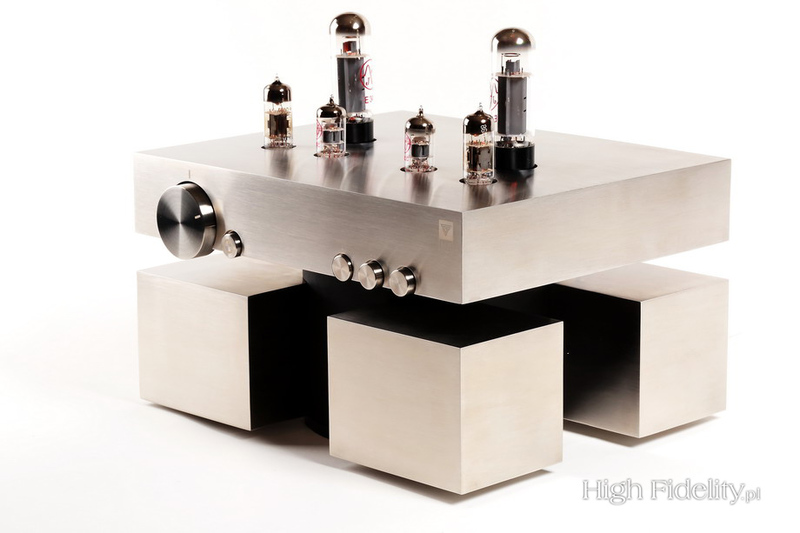 Under a careful supervision of Dr. Marek Liskiewicz there came to existence a project and then a prototype of a tube amplifier. It was important to me to have a fresh approach. It was only logical to put the heaviest elements as low as possible. This in turn created a possibility to separate the sources of noise and distortion, i.e. transformers, from the electronics. Obviously the high requirements concerning electronics set by Mr. Kopecki had to be met: good isolation, the shortest signal path possible and accessibility. 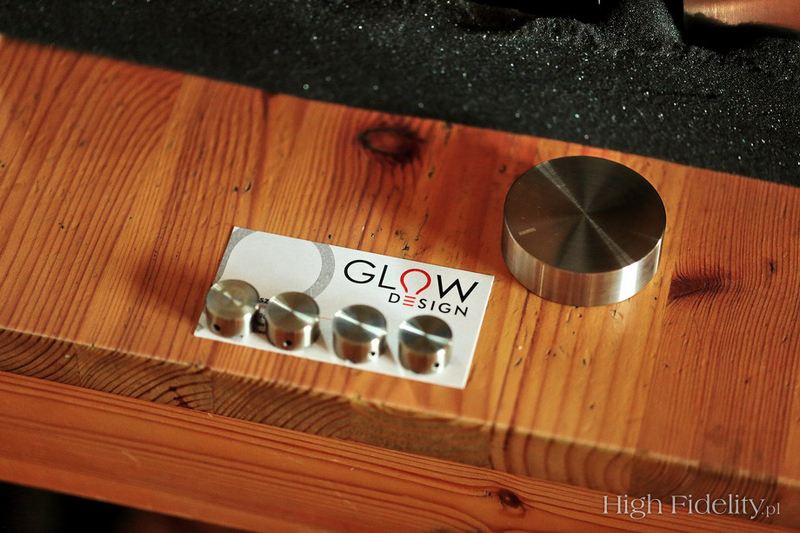 With these in mind, the design is a functional one and very modern at the same time. As time went on, the BLOCK still remained somewhere at the back of my head as something yet to be done. One day I published the design on a well-known design website – yankodesign.com. 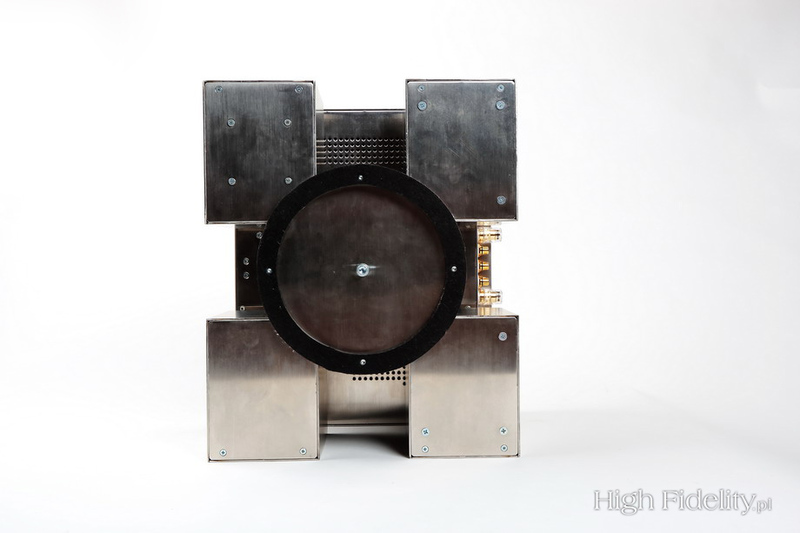 It gained a lot of interest from other sites publishing information about the amplifier so I decided to show it during the Salone del Mobile fair in Milan. The design attracted “Wallpaper Magazine” and then it was published in “Wired World”. One afternoon I got a phone call from Dionizy Konieczny, a man who knows the world of music and is a DJ with a very sensitive ear himself. That was the beginning. 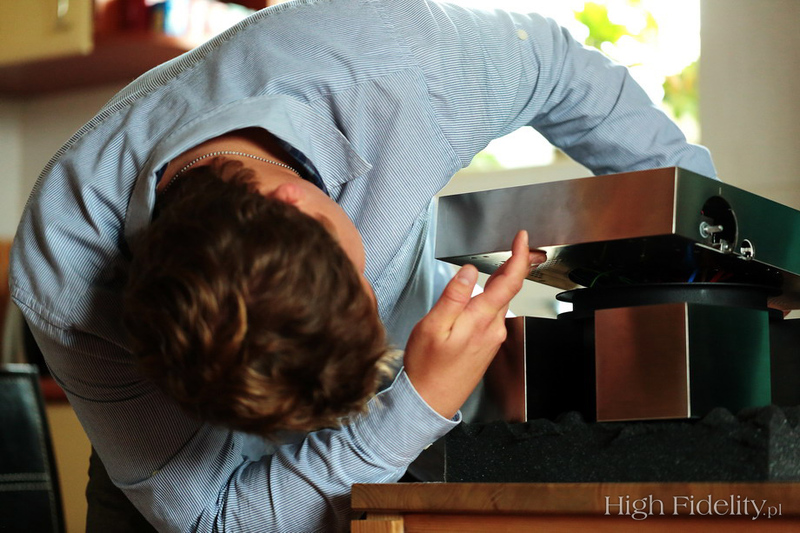 It took almost two years to prepare the design for production with all the details. The metallic click of BLOCK’s input switch will haunt me forever. Kanaan, Duda, RudĽ, Hołd, Solition SL 380-2, CD (2014). Martin Krotochwil & Jazz Q, Temmné Slunce, soundtrack, GAD Records GAD CD 018, CD (1980/2014). NEU!, NEU!75, Brain Records/P-Vine Records PCD-93529, “NEU! Story 3”, CD (1975/2001). Pieter Nooten, Heaven, Rocket Girl rgirl92, 2 x CD (2013). Skrzek & RudĽ, The Stratomusica Suite, Generator GEN CD 032, CD (2014). How would that sound on headphones, I wonder, was the first thought that entered my mind just after the first notes of Klan’s Z brzytwą na poziomki reached my ears. The thought had some intensity as the great part of my private auditions, which I have time for only in the evening and at night, is done on the headphones. It is of paramount importance then that the quality is as close as possible to what I can hear during the day via the speakers. 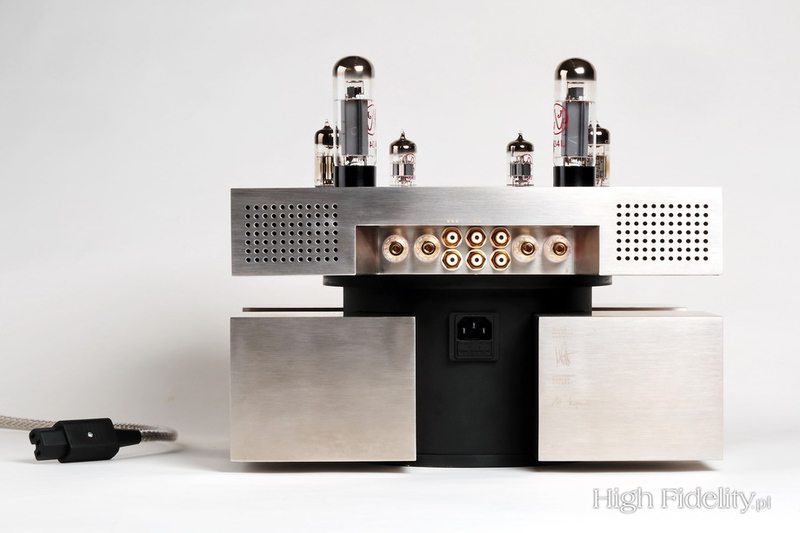 I, then, do have a collection of the best available headphones and quite a few headphone amplifiers. The moment I spot a 6.35 mm headphone jack in an amplifier or a preamp, I always first check the sound from this output, not from the speakers. Some of the integrated amps turn out to be really good in that area. The best example is the Leben CS-300 in many of its incarnations, which together with the HD-800 from Sennheiser, the K701 from AKG or the T1 from Beyerdynamic is my reference system. 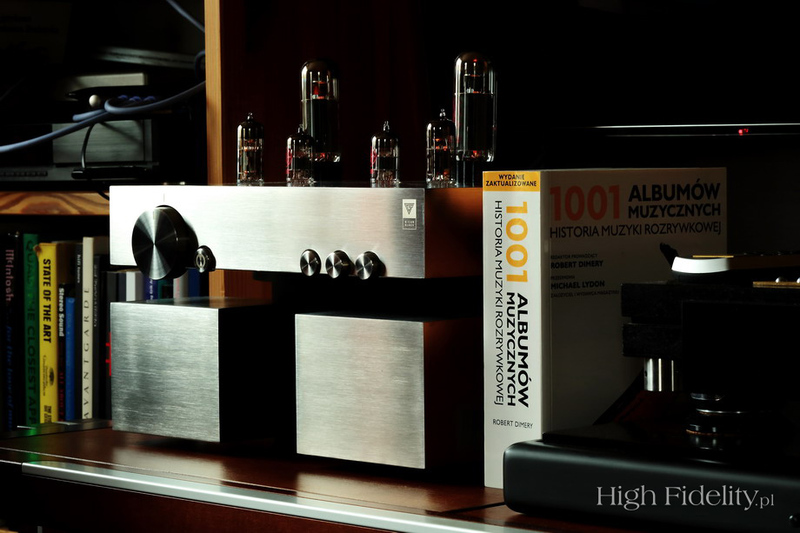 My recent discovery is a hybrid amplifier from Mr. Czyżewski, the Linear Audio Research IA-120H, the missing other half of the HiFiMAN HE-6 magnetostatic headphones that are too demanding for most any other amplifier. The Block wouldn’t be capable of properly driving the magnetostats, either, I have no delusions here, but the Sennheisers, the Ultrasone Edition 5 (my most recent purchase), the Beyerdynamics, the AKGs and perhaps even the Audeze LCD-3 would have been more than happy to have a go at penetrating the little hole of the G LAB amplifier (if there was one, that is). Their happiness would have been based on an exceptionally good sound offered by the amplifier and its great tonal balance. 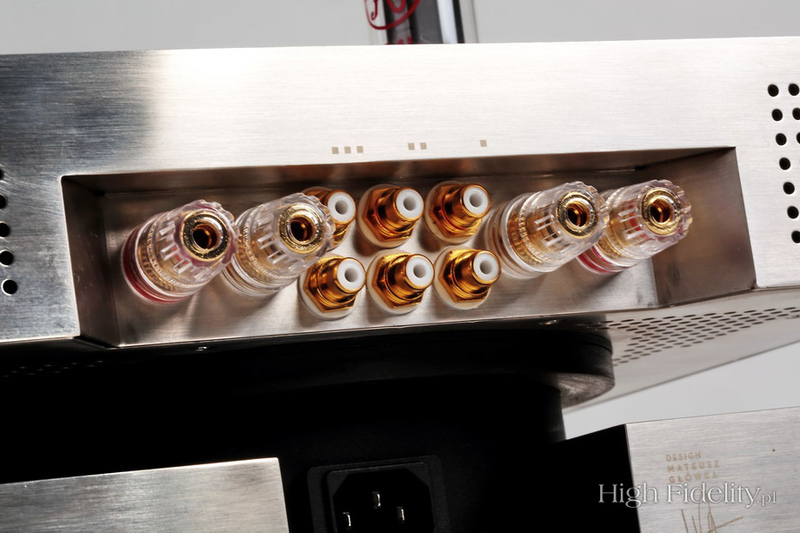 Five and a half Watts it delivers is less than nothing; that much power is usually delivered by ordinary amps in pure class A before they enter class AB, whereas here it is the total power output. And you know what? I would have never guessed it is only a few Watts at work. 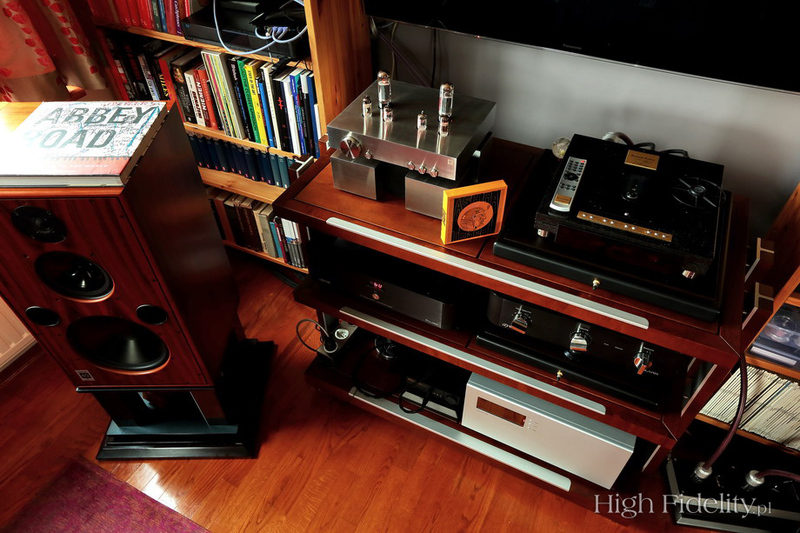 My Harbeths M40.1 are a very difficult load and even though they sport quite a leveled impedance curve, to achieve their full potential they need a powerful top quality amp like my Soulution 710 or the Accuphase A-200 monoblocks that I happened to review for “Audio,” or like the Octave MRE-220 monoblocks or the amps from Vitus Audio. The speakers do have their weak spot, though, which can be revealed by the best tube amps. This has nothing to do with the specifications provided by their manufacturer because those suggest using small tube amplifiers but real live tests prove to the contrary. I cannot explain this in any way possible, the explanation is probably a trivial one; it is physics, after all, but it still eludes me. 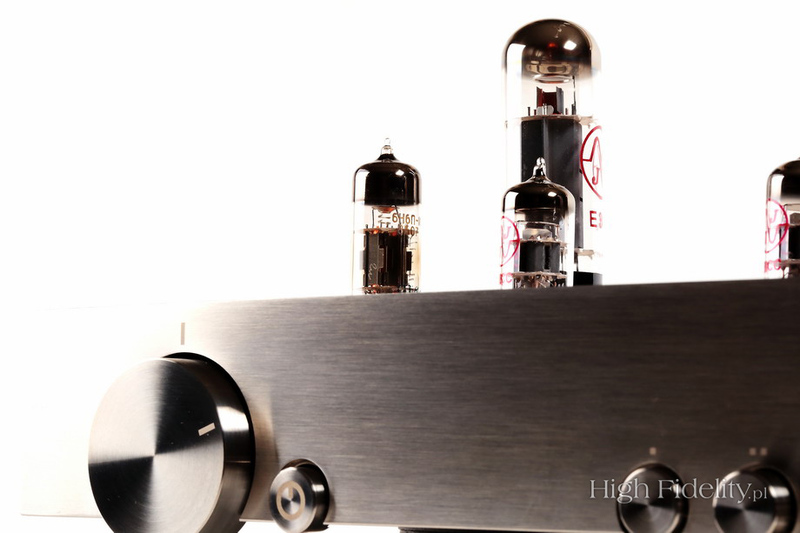 The best amplifiers with a tube-based output stage do not have to be powerful to achieve seducing sound. Devoid of many sonic aspects that can only be provided by sheer power, but with some that can be offered only by amps of the kind of the Triode TRX-M300 Reference Edition, the 8 Watts per channel Japanese monoblocks or the even less “power capable” Block. The sound of the Polish amplifier can bring one to one’s knees with its holistic approach to the music material. Any kind of material. We deal here with a design that lends a helping hand to the recordings which we would probably have rejected with many other amplifiers or at least would have found something to complain about, at the same time being dead serious about the best ones that deserve our respect. A good example of the first tendency, i.e. “helping” a recording with less than perfect sound, could be the recent issue from GAD Records, a compilation of radio recordings titled Nerwy miast, by the Polish band Klan. The sound is clean but at the same time light and relatively flat. The amplifier under review presented it in a slightly different way, preserving the “patina” of the recordings from the 1969/70s and showing a nice bass, with convincing kick drum and great, strong guitar. The treble was delicate, and only on the track Z brzytwą… the top end “jumped out” in front of the mix. But this is simply that kind of a recording. The sound was thick and exceptionally vivid. These are all mono recordings and yet the Block managed to fill the space between the speakers showing large, three-dimensional images.